LETTERS FROM THE PRESIDENT June 2017 - PUBLICATION BY THE U.A.E. Please find attached the Program of the Congress, which you can also check directly in our website, www.uae.lu. I invite you to confirm your registration as soon as possible. As you can see in the Program, the Congress will be celebrated in the Aula Magna of the Italian Supreme Court (Corte Suprema di Cassazione), and will be presided by the Supreme Court’s First President, S.E. 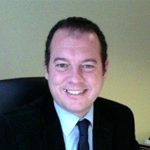 Giovanni Canzio, who will give us the honor of welcoming us at the Congress. For the scientific part we will count with the presence of a group of great technical level speakers, including academics, judges and lawyers,, who will guarantee that the different subjects of the program will be treated with extreme rigor and quality. The role of the XXIst century’s attorney will be analyzed from numerous prisms, in his social role, his local and European role upholding Justice and the Rule of Law, from an individual point of view and also as a group, as a part of the Bar Associations, and from the perspective of the different systems that coexist in Europe. I wish to emphasize three key moments: the entrance into the Supreme Court of Italy, the Gala dinner on the terrace of the Marriot Flora Hotel, with an impressive view to Rome by night, and the Route to discover the ancient secret Rome. I think that there is no better way of celebrating the 60th anniversary of the signature of the Rome Treaty, which gave birth to what is today the European Union. As an incentive for the attorneys who are interested in attending to this General Congress and are not yet part of the U.A.E., the Executive Committee has approved to offer a reduced membership rate of 80 € to become a member of our dear Association, to attorneys who register to the Congress. This reduced rate would be applicable in the current year and in the following one. Besides its important scientific dimension, the Congress is also a great moment of sharing and conviviality between the members that allows the renewing of professional contacts and helps to maintain and improve the friendship that our membership of the UAE generates in all of us. Finally, please allow me to address my regards and special gratefulness to our friend, partner and Honorary President Francesco Samperi, as well as Ricardo Abeti, for assuming the challenging task of organizing this Congress, within the difficult conditions of the European economic conjuncture. I therefore invite you again to confirm your registration to this XXXIst Congress of the U.A.E. at your earliest opportunity, where I hope to have the pleasure of meeting you. I am sure that with everyone’s participation the Congress of Rome will be a success.